Precision cutting to the highest quality. Our quality pigs come for the most part from Belgium. 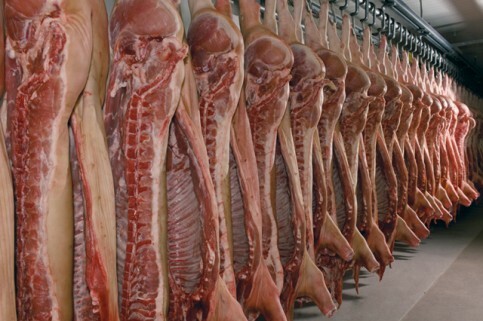 Furthermore we obtain pigs from national suppliers. We emphasise compliance with national and international quality standards as well as with the individual guidelines of our customers. Compliance with state regulations relating to hygiene is assured by daily controls. Rigorous inspections are applied for all incoming goods. Regular tests are carried out by an independent laboratory. Our company has taken enormous efforts to upgrade the quality management system. Our HACCP quality-concept fulfils the high requirements of the "QS" quality certificate which gives us the authority to supply "QS" certified meat. 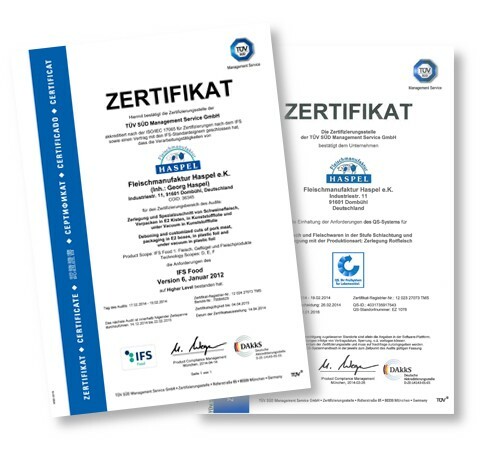 Furthermore we have held the award of the BRC-quality certification class A since 2004. You could consult the detailed demands on the participants of the QS-system and more information about the organisation "QS Qualität und Sicherheit GmbH" on their homepage: http://www.q-s.info.